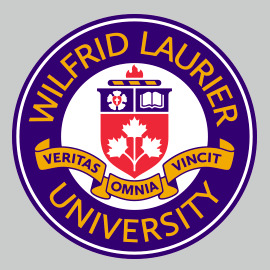 The Executive and Governance Committee, on behalf of the Board of Governors of Wilfrid Laurier University, has approved an Interim Cannabis Policy that will govern recreational cannabis on all university property and facilities starting Oct. 17, 2018, the day recreational cannabis becomes legal in Canada. The interim policy prohibits the use and preparation of recreational cannabis on university property, in university facilities, and in university vehicles, with a few exceptions. The university currently accommodates the medical use of cannabis, with proper documentation, and will continue to do so under the interim policy. Although Ottawa has passed legislation that will legalize recreational cannabis starting Oct. 17, the federal and provincial governments have not yet finalized all regulations related to the use of cannabis products. Also, municipalities have been given some latitude to create their own bylaws governing recreational cannabis within their jurisdictions. Like other universities, Laurier is able to govern activities on its property. Given these circumstances, the university has chosen to enact an interim policy to give us a period of six-to-eight months to consult with government, area municipalities, other universities, and the Laurier community for the purpose of developing a long-term policy. The key purpose of the interim policy is to ensure that the university is in compliance with all federal, provincial, and municipal laws concerning the use of cannabis. The university also intends to provide educational and harm-reduction programs for university employees and students who may be considering using cannabis. The university will create a working group to lead an information-gathering process and to make recommendations for a longer-term Cannabis Policy. Details about the working group and the process for submitting feedback will be provided in the near future. It is anticipated that recommendations will be made to the Board of Governors in time for the Board’s meeting in June 2019. The university will provide regular updates over the next few months at wlu.ca/cannabis, including answers to frequently asked questions. If you have additional questions, they can be directed to questions@wlu.ca.